©2013 R.L. Delight, Wave Study #16, 6"x8", oil on hemp canvas. © 2013 R.L. Delight, Winter Morn, 6"x8", oil on linen panel. 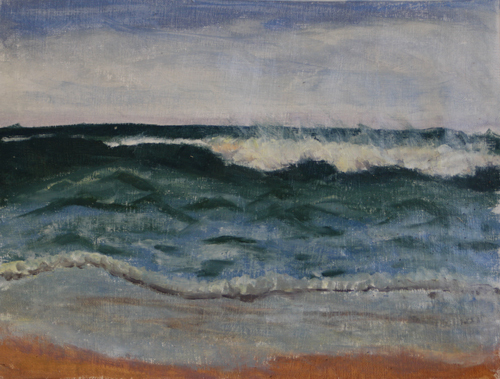 It is fun to finally paint a finished painting from a wave study. I have been meaning to do that. I plan to do that for all 30 days of the challenge. 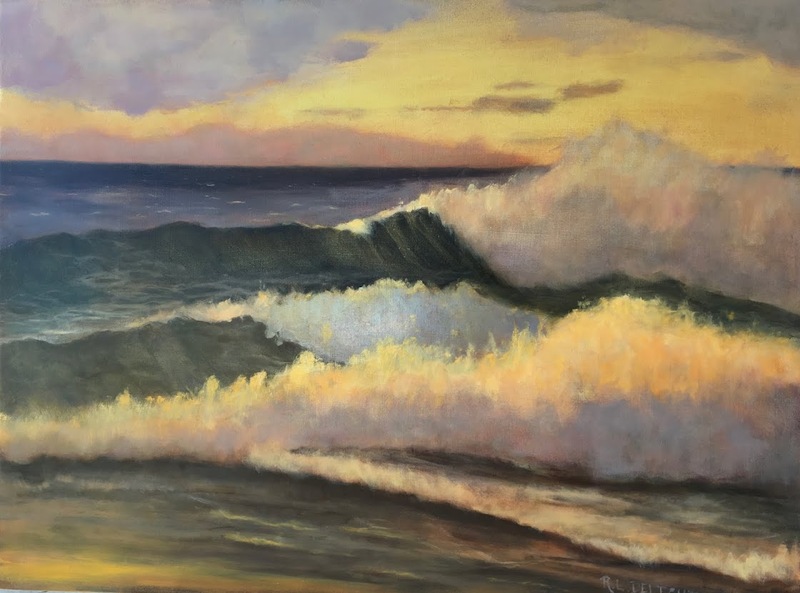 I won't always be able to make a painting of that day's wave study and it will sometimes have to be of a previous wave study. Tomorrow is a good example. I have to paint in the studio in the morning before going to pick up two of my paintings from a gallery exhibit. On the way back home in the afternoon I will stop and paint my wave study for the day. 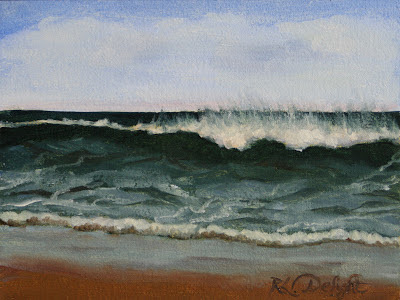 Well, it has been a long day so I have a few more postings of this painting then off to bed. This painting will be going up for sale in the next day or two so stay tuned! Good night everyone! I love it! What a great start and a treasure of a little painting. I am so impressed.